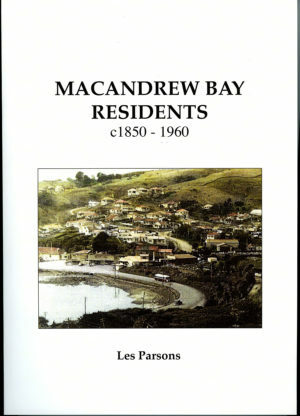 JUST REPRINTED – Great Christmas present for anyone who has lived in Macandrew Bay. Ring 4761 453 for free delivery in the Bay. This history of a community on the Otago Peninsula will be of interest to anyone who has loved living “down the Bay”. Lavishly supported by photographs and illustrations, it depicts a rich history from its geological beginnings to such diverse topics as the Maori, sealers, whalers, early settlers, regattas, ferries, famous politicians, churches, schools, the pre-supermarket era of shops – not to mention all the activities of a busy and close-knit community. 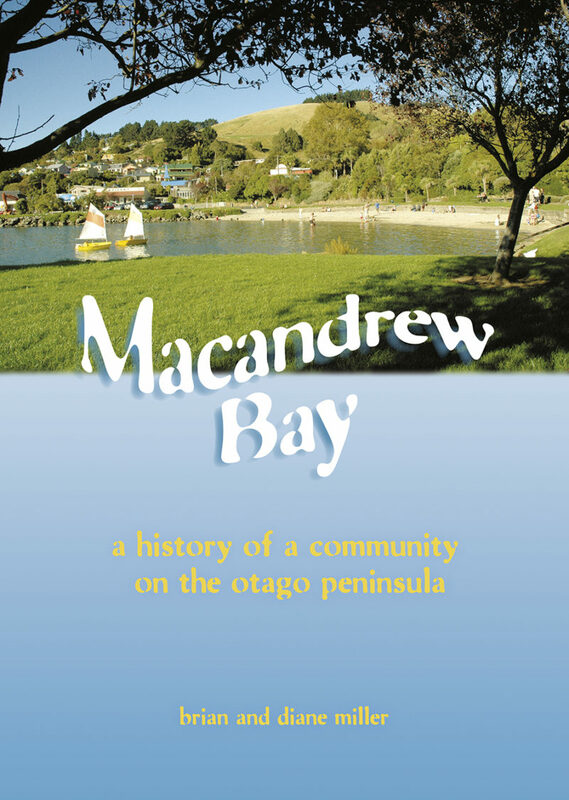 This history of a community on the Macandrew Bay area of the Otago Peninsula was compiled as part of the celebrations for the 150th anniversary of North East Harbour (now Macandrew Bay) School. The authors discovered such a rich history that it was decided to record the story of how a community developed over the years as well as that of the school. The early days of the Maori, the sealers and whalers on the Peninsula were fascinating, as were the struggles of the early settlers and the escapades of well-known local politicians, including William Larnach and James Macandrew. People made their own entertainment in the early 1900s, and the harbour ferries helped the Peninsula bays become holiday resorts for Dunedin city “daytrippers”and “weekenders”. The choice of social clubs, sporting activities, churches were numerous in the mid 1900s, and of course a history of the school features, with an input from today’s schoolchildren. The sense of community and cooperation which developed in a (then) ‘isolated’ locality will be viewed with nostalgia by some readers – and perhaps a sense of envy by younger readers.